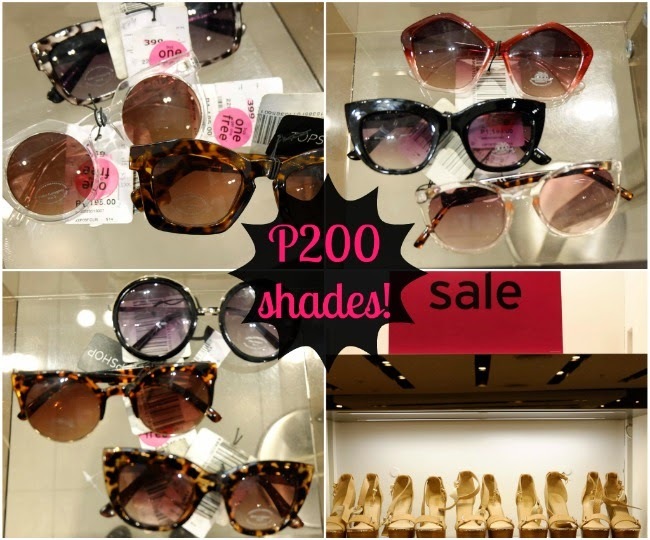 robinsons red hot sale finds + gc giveaway! 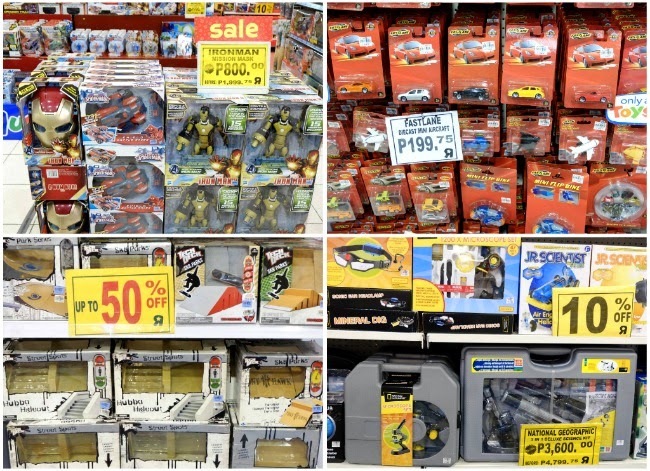 If there's one thing I'm good at, that's shopping and I shall prove my skills to you today with these awesome deals I spied during my visit to Galleria a couple of days ago for the ongoing Robinsons Red Hot Sale! Pay mind, I didn't just concentrate on the kikay stuff. This time, I scoured the entire mall searching for great bargains for the whole family. 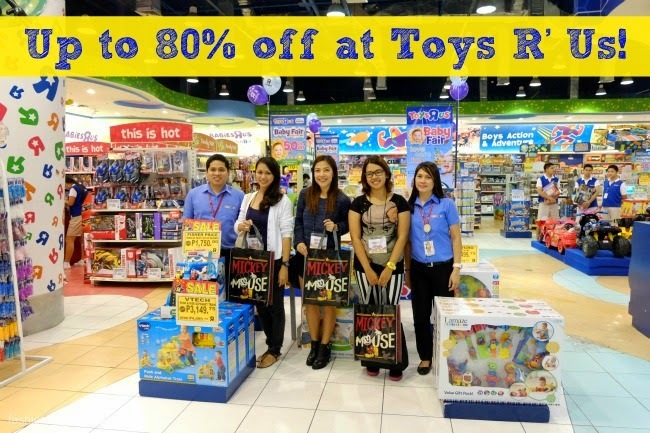 For the whole month of August, enjoy up to 80% off at Toys R' Us! 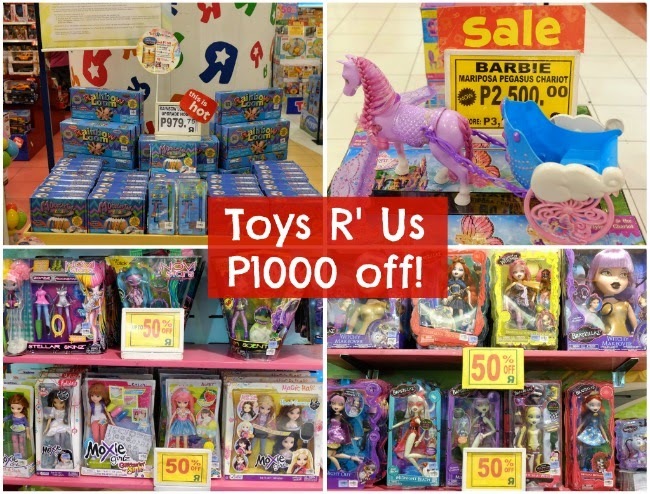 Slash more than P1000 off the regular price of well-loved toys such as Barbie, Bratz, Transformers, Ironman. Vtech and many more. 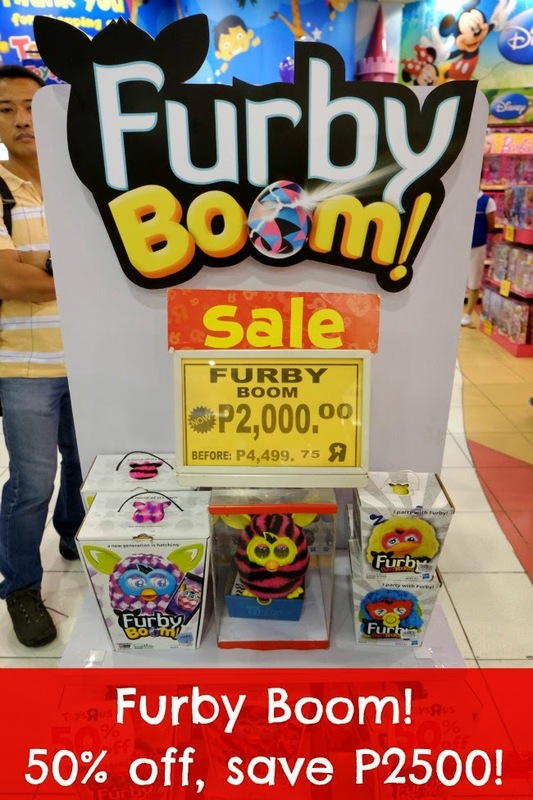 My favorite deals of all are the National Geographic Science Kit which is down to P3600 from P4799 and Furby Boom which is now a SUPER STEAL at just P2000 from it's original price of P4499! Me thinks this a great time to start Christmas shopping for the inaanaks. 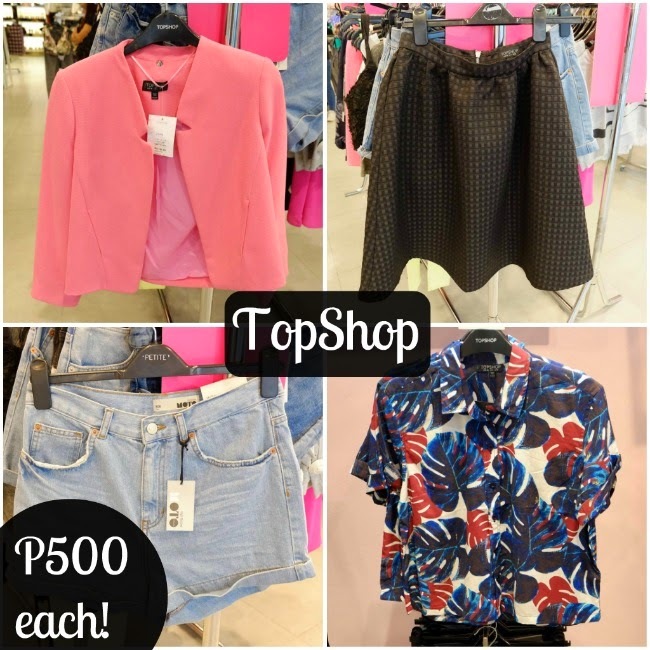 Make sure to drop by 50th Avenue at the 3rd floor for fashion steals as low as P20! Without the sale, 50th Ave already provides some pretty affordable options but with the ongoing Robinsons Red Hot Sale, the bargains can get ridiculously cheap! Expect to find accessories priced at just P20, fashionable mens shirts for only P250, flats and sandals at P400 and 2 swimsuits for less than 1k! Just below 50th Avenue is Y.O.T. or "Your Own Time". At Y.O.T., you get to choose and interchange the straps of your watch allowing endless color combinations so it looks like you have more watches than 1. Price range is P3500-P6500 but if you make your purchase this month, you get to enjoy as much as P600 off its original price. Make sure he doesn't miss out on these awesome deals from Sony Xperia and Beyond The Box! 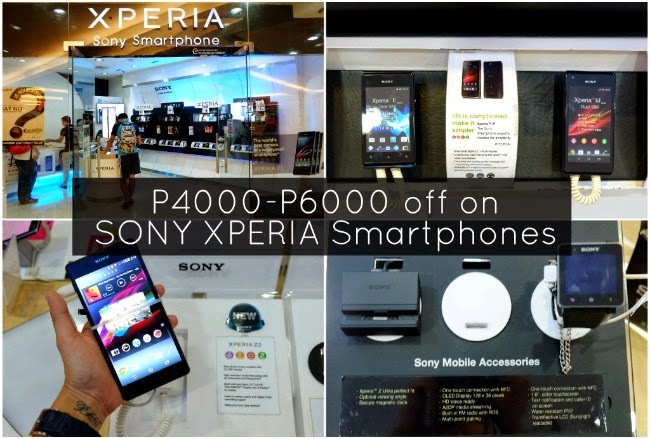 At Sony Xperia, Dad can purchase his new smartphone and enjoy discounts of up to P6,000 from SRP! 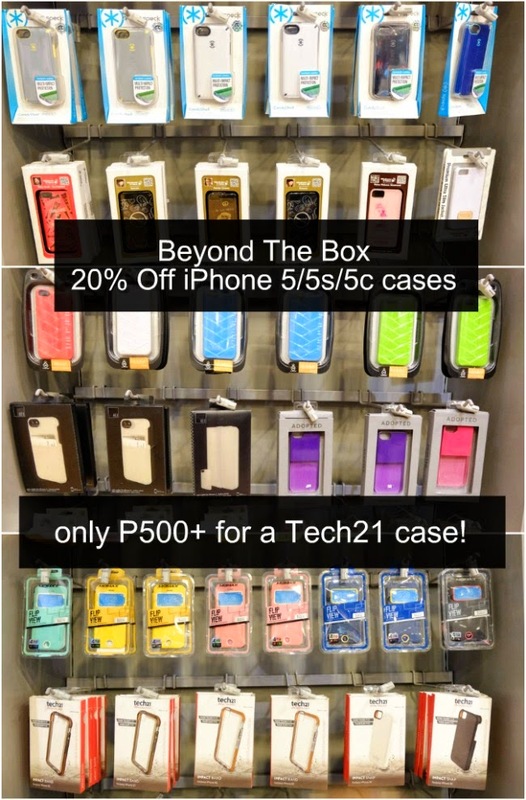 While Beyond The Box gives you no more reason to settle for fake tinagge cases with their unbeatable iPhone 5/5s/5c branded case deals. Make sure your iPhone is fully protected with a shockproof Tech21 Impactology case (see review HERE) that you can purchase for only P500+ during the Red Hot Sale! If you're after more colorful options, Speck and many other brands are also up for grabs with equally tempting discounts. No more excuses not to get fit and healthy this year! 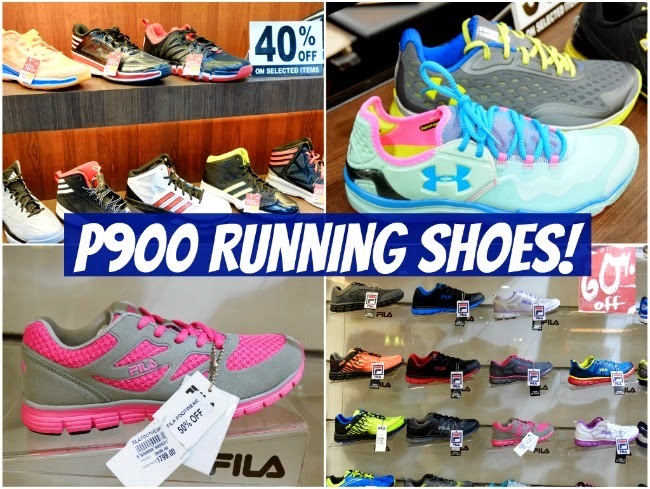 Just visit the Sports Loop at the 3rd floor of Robinsons Galleria and drop by Olympic Gold where you can purchase a pair of running shoes for less than P1000! Also up for grabs is one of this season's hottest fashion items worn by popular fashionistas and trendsetters worldwide...VANS SLIP-ONS! 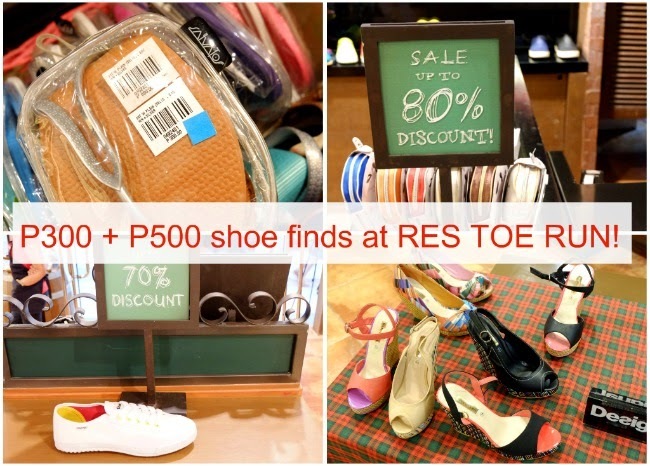 At the Robinsons Red Hot Sale, you can get a pair for only P1100! While you're there, you might also want to check out Toby's Sports for their Pay Less For Fitness Sale! 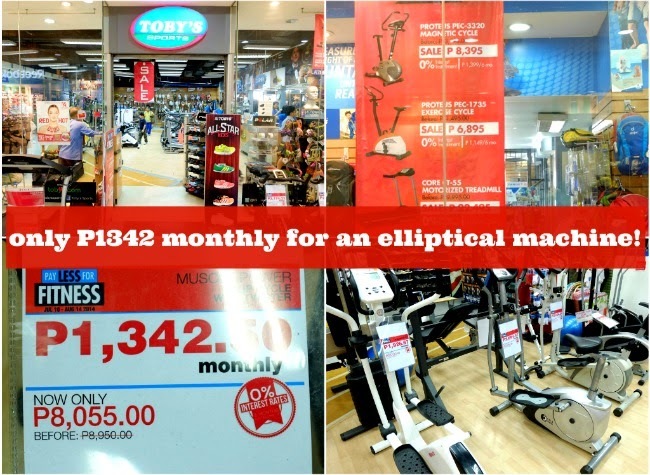 Get a stationary bike for as low as P6,895 or pay only P1342/mo. for an elliptical machine that your whole family can use. That's way, way cheaper than monthly gym memberships! Deals so awesome I had to do a double-take to make sure I was reading the prices right. This one's for you because WE DESERVE IT! And we deserve it even more because these kinds of deals don't happen very often and hence, are a shame to pass up. P300 for Salvatos Slippers at Res Toe Run!!! Cray-cray. I love these foldable slippers because they are thick enough to be comfortable yet compact enough to take along anywhere (see review here)! They are the only pair I pack when I travel and I even take them along in my purse on "full-days" in case I want to switch to more comfy footwear from heels. Aside from that, you can also get Shulong sneakers and gorgeous Marie Claire wedges for only P500!!! Hurry, hurry because I'm pretty sure sizes are gonna run out fast for these. And last but most definitely not the least, Topshop! 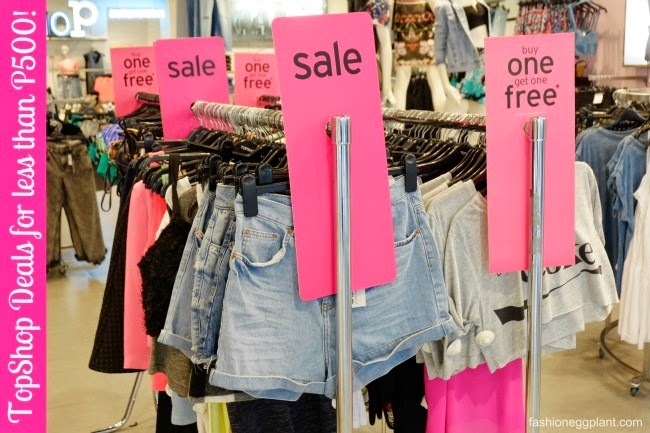 No trip to Galleria is complete without a visit to Topshop which is one of their best branches in Manila...especially now with these irresistible Buy 1 Take 1 deals! 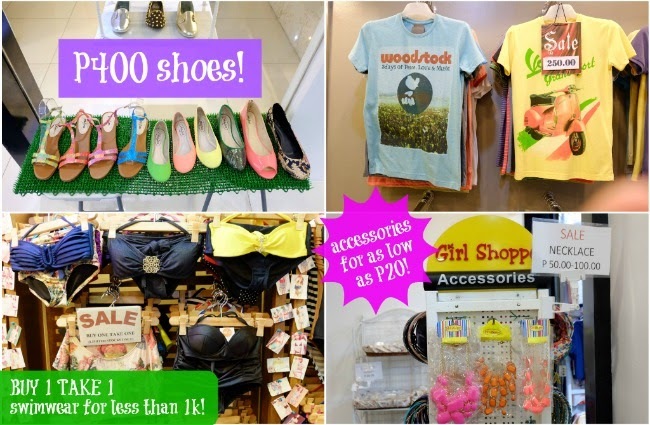 With prices already slashed down to 80%, most items included in the sale only retail for P1000. 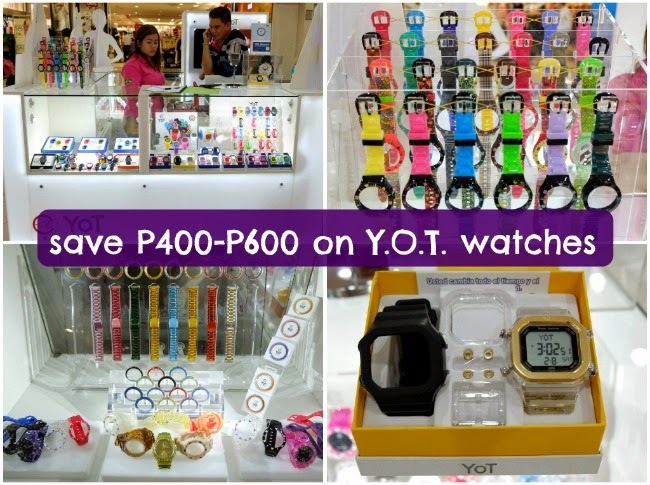 And now with the BUY 1 TAKE 1 deal, it's like you're only paying P500 per item! How can you say no to that?! insider tip: hoard on pieces from the Kate Moss X Topshop collection which are also included in the sale. Get them even if they're not in your size and sell on eBay for loads. A lot of women worldwide are still clamoring for the limited edition pieces that are mostly sold out abroad. 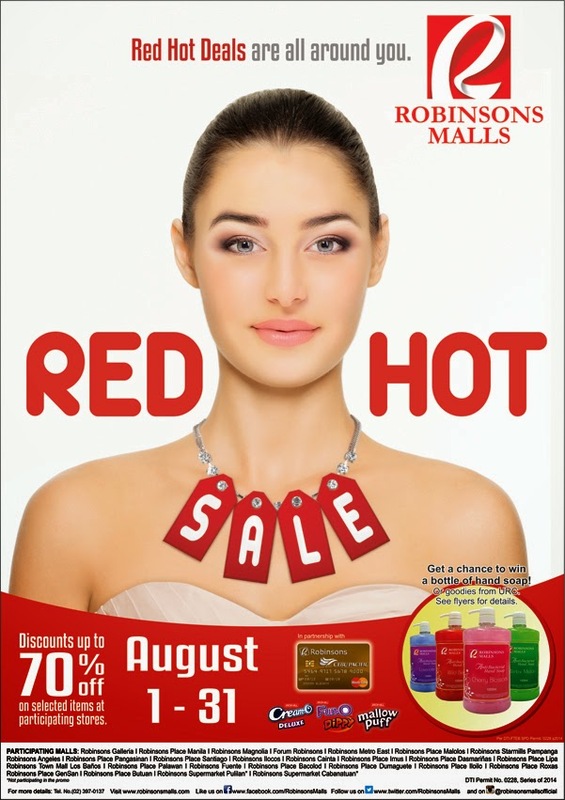 These are just a few of the many RED HOT DEALS awaiting you at the Robinsons Red Hot Sale this whole month of August 2014! Or, get the chance to WIN P1000 Robinsons Gift Certificates by reposting the sale poster from the @RobinsonsMallsOfficial instagram account, tag 5 of your friends and use the hashtag #RobinsonsRedHotSale! So this payday, you know where to go! ;) And don't worry about long lines, it's pretty much smooth sailing all the way.